Some types of plants are more tolerant to office conditions than others (just like humans). Fast-growing species can require regular pruning or re-potting. Plants require different types of light and respond differently to air conditioning and heating. Fortunately there are some easy options. For example, our experts tell us the slow-growing evergreen Calathea plant is as tough as they come. Also known as the cathedral, peacock or zebra plant, it is a popular indoor choice. 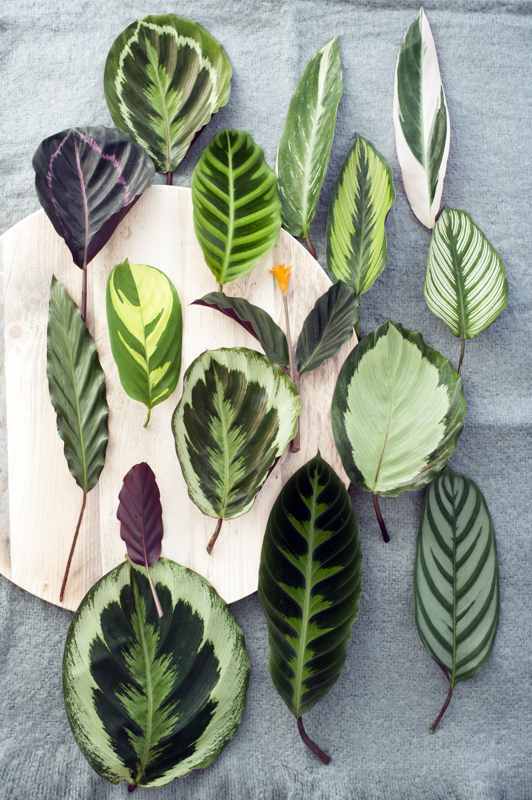 Its beautiful foliage of light-coloured veins against green, red and cream leaves provides interesting and unique texture to any room (the experts call this colouring “variegated”). 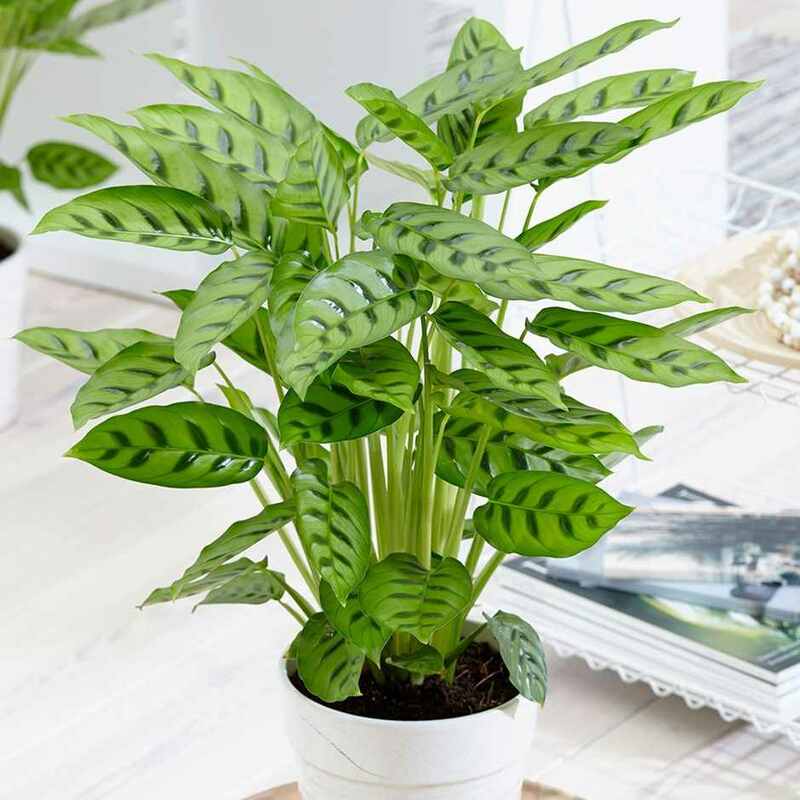 Calathea plants thrive in humidity and prefer indirect lighting. They grow best in a shady room away from open windows and direct sunlight. The leaves of a Calathea change their spread and angle throughout the day depending on the orientation of the sun. See our blog on the science of office plants for more plant species that are ideal for office health and wellbeing, while being easy to care for. The amount of water your plants will need depends on your office conditions and the species of plants. Learn how regularly your plants need watering by observing – if they look great then you have nailed it. Calatheas like soil that is slightly moist at all times. If the top 25mm to 50mm of the soil is dry, then it is ready to be watered. If you let the soil dry out too much, you may see browning or yellowing on the leaves, but don’t fear, these plants are hardy and can bounce back after a good drink! Too much water can also result in root rot, so it’s important that the soil not remain soggy for extended periods. With a bit of practice you should be able to establish a regular watering regime that you can diarise. Plants need nutrients as well as water, although limited amounts in winter when they grow less. The easiest fertilizing option is to apply a slow release plant food (like Osmocote Controlled Release Plant Food which lasts for 6 months) at the start of Spring. Just follow the instructions on the pack. If a plant is dropping its lower leaves, showing weak growth or an overall yellow-green colour, it may need more fertilizer. It might also need more light or less water, so take the time to analyse all conditions before pouring on more plant food. Adding fertilizer when a plant does not need it can be worse than doing nothing at all. Make sure that just one person is responsible for watering and fertilising (with someone else covering during their holidays). 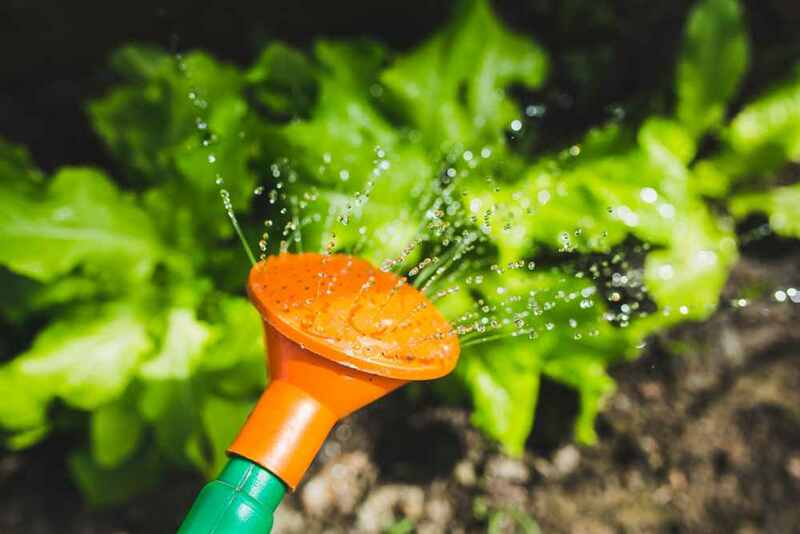 Overwatering is just as dangerous as underwatering and with several people looking after your office plants there is a very high likelihood of overwatering. With these four principles in mind, it is not too difficult to look after office plants – and enjoy the many benefits they provide. See our blog on the science of office plants for more details on ideal office plants, their benefits, and where to buy them. At Rype Office we can help to select and supply the best plants for your office. Plants enhance office design while providing a cost-effective, scientifically proven, greener solution to improving workplaces.